A few days ago I was writing a gardening post called 5 Plants for an Early Spring Garden. I found a beautiful stock photo of beets to use in the post and have been craving them ever since! When I was growing up, beets were strictly a canned food item and we didn’t eat them very often. I remember they were always rather bland and I had honestly never seen one with a stem and leaves still on them. As a gardener, I have not had too much luck growing my own beets yet. I keep trying but the heat here in Georgia makes keeping the soil consistently damp very difficult. I will be trying again this year in hopes of getting beets that are larger than a golf ball! While I wait for my own garden to provide me with beets, I decided to head to the grocery store to buy some for this roasted beet salad with blue cheese and walnuts. Blue cheese is one of those things people either love or hate. 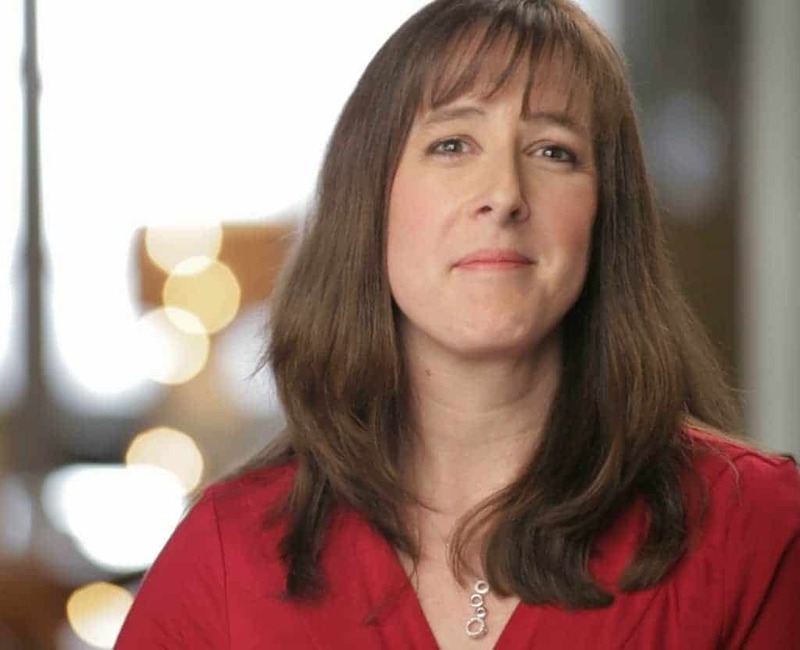 Personally, I am a HUGE fan…putting it on roast beef sandwiches and slicing it up for crackers. 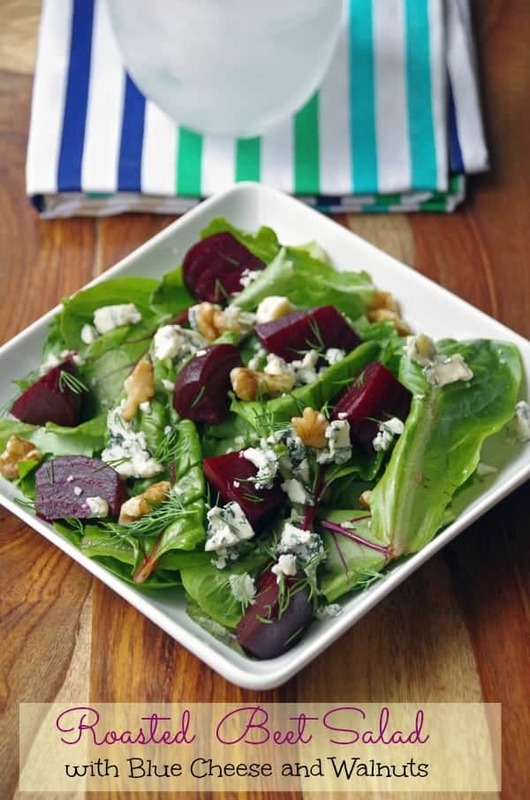 If you don’t like blue cheese, you can easily make a beet salad with walnuts and feta or even try some goat cheese. However, I really think that beet salad with blue cheese is an amazing combination of flavors. I thought about candying the walnuts but was honestly feeling a tad bit lazy and decided to just chop them up and scatter them on plain. 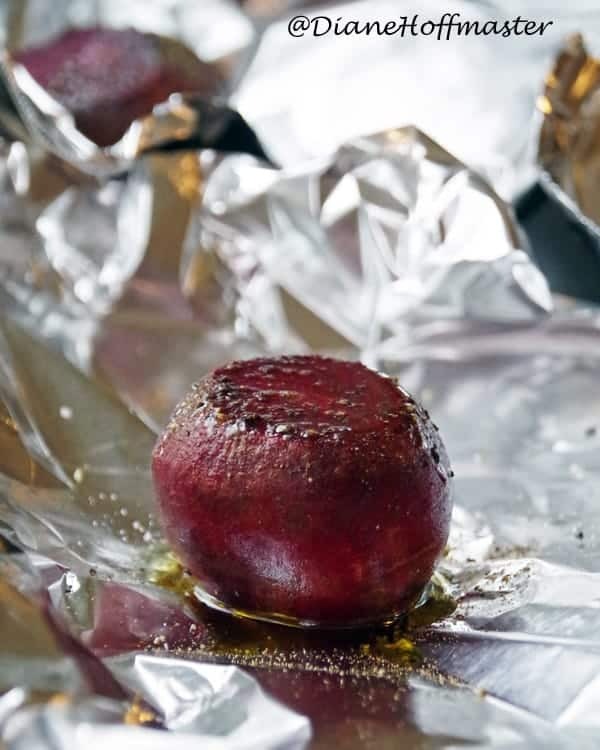 You can roast the beets the night before so that you have a healthy lunch recipe that takes only minutes to throw together. The combination of dark, leafy greens and deep red beets is a powerhouse of antioxidants and essential nutrients. I didn’t add a salad dressing to this beet salad recipe but you can use your favorite store bought dressing or make a simple Homemade Balsamic Vinaigrette. This Roasted Beet Salad with Blue Cheese and Walnuts is a healthy recipe loaded with nutritious ingredients. Gently remove the skin from the cool beets. Rubbing a paper towel on the surface gently is a good method. For each salad, place one handful of greens on a plate. Add one sliced beet and a sprinkle of blue cheese and walnuts. Add more freshly ground pepper if desired and sprinkle with dill. This looks delicious! I love the dill bits in there too!